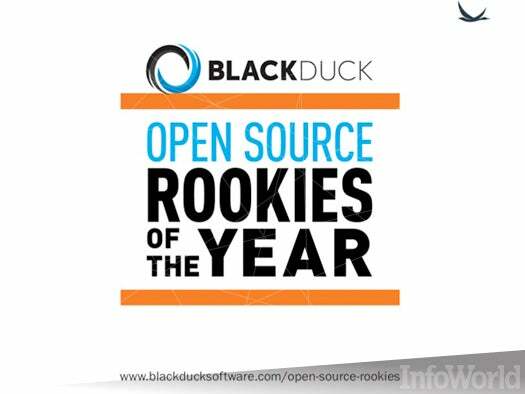 The sixth annual Black Duck Open Source Rookies of the Year awards recognize the top open source projects initiated in the past year. This year's honorees span cloud computing, software virtualization, privacy, social media, and the Internet of things. The selection is based on statistics gathered from Black Duck's Ohloh site, the leading open source software directory, using such metrics as the total number of commits and commiters, the distribution of commits across committers, and social media traffic. 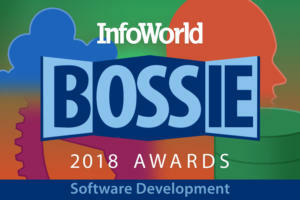 For more info, see "The Open Source Rookies of the Year Awards." As mobile apps become core to our operating infrastructure, agile development methodologies require automated testing to deliver. Appium provides a broad platform for testing both native and hybrid mobile apps on iOS and Android, enabling organizations to utilize a single testing tool to support their growing needs. While initially started as a tool for SauceLabs to help customers build a scalable, automated test environment, Appium has taken on a life of its own with a rapidly expanding, diverse developer community. 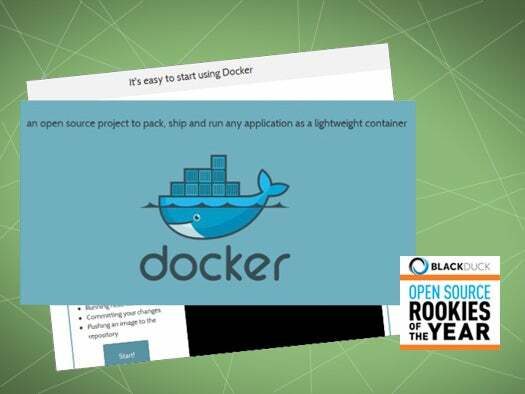 Docker has generated the kind of excitement rare for a rookie open source project. Its purpose is to enable the easy creation of lightweight, portable, self-sufficient containers from any application. The same container that a developer builds and tests on a laptop can run at scale, in production, on VMs, bare metal, OpenStack clusters, public clouds, and more. Docker was started by a small, commercial firm known as dotCloud, but the project has grown roots and turned the heads of the big names, including Red Hat and Google. The level of portability delivered by Docker offers companies plenty of options for where their apps will run, while giving developers freedom of choice in the languages and tools used to build them. Ghost is dedicated to one goal: publishing content on the Web. It's beautifully designed, completely customizable, and fully open source. 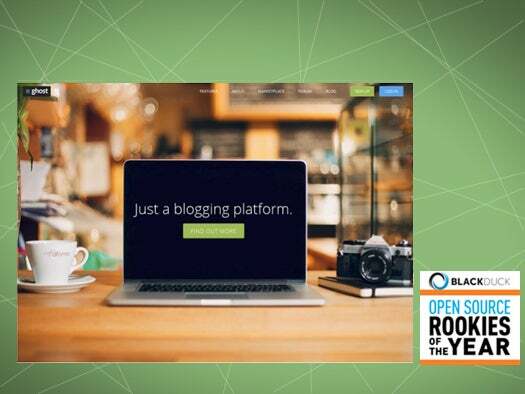 It allows you to write and post your own blog, providing the tools to make it easy and even fun to do. It's simple, elegant, and designed so that you can spend less time messing with making your blog work and more time blogging. While the current version of Ghost (as of this writing) is limited to single-user blogging, the platform is stable and growing rapidly. Ghost is free software released under the MIT License, among the least restrictive in use. InfluxDB is a time-series, events, and metrics database. It's written in Go and has no external dependencies, which means that once you install it, there's nothing else to manage (in contrast to Redis, HBase, and so on). It's designed to be distributed and scale horizontally, but it can be useful even if you're running it on a single box. It also comes with a SQL-like query language designed to be used with time series and analytics. As of this writing, InfluxDB is only three months old, with the first commit on Sept. 23, 2013. OpenDaylight's objective is to provide a fully functional SDN platform that can be deployed directly without requiring other components. It's focused on building an open, standards-based SDN controller platform that is suitable for deployment in a variety of production network environments. In addition to a modular controller framework, OpenDaylight is expected to include support for a number of standard and emerging SDN protocols, network services like virtualization and service insertion, well-defined application APIs, and data plane elements like physical device interfaces and virtual switch enhancements. OpenIoT began as a research project partially funded by the European Commission with the goal of enabling a new range of open, large-scale, intelligent Internet of things applications using a cloud computing delivery model. The project focuses on the mobility aspects of Internet-connected objects (sensor networks) for energy-efficient orchestration of sensor data harvesting and data transmission into the cloud. OpenIoT integrates ontologies and semantic structures in order to enable semantic interactions and interoperability between the various objects, which provides significant advancement over the existing syntactic interactions offered by GSN and AspireRFID projects. Serverspec provides a simple approach to testing your server configurations independent of any configuration management tools. Using Serverspec, you can write RSpec tests for checking your servers' configuration. It tests your servers' actual state through SSH access, so you don't need to install agent software on your servers. You can use it in conjunction with any of the leading configuration management tools, including Puppet, Chef, CFEngine, and more. Currently, Serverspec supports Red Hat-based OSes, Debian-based OSes, Gentoo, Solaris, and Darwin-based OSes. Project Tox is a secure instant messaging and video chat application intended to replace AIM, Skype, and so on. It's no surprise that this project got major traction this year, given the constant drumbeat of NSA privacy violations. Tox aims to be an easy-to-use, all-in-one communication platform for text, audio, and video chatting, with a commitment to full privacy backed by "leading class" encryption. Tox pledges that it will never harass users with ads or require users to pay for features. XPrivacy does not revoke permissions, except access to the Internet and access to external storage, such as an SD card. It's a great solution for preventing data leakage without blocking access to an application entirely. 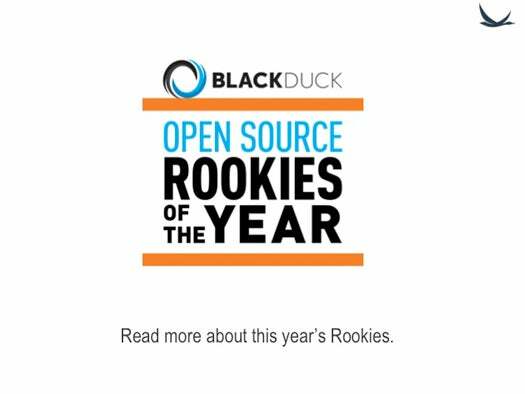 For more information about the winners, check out Black Duck's Rookies of the Year page. Better yet, look the winners up at Ohloh.net and dig deeper.